Motivation for this blog: To have a major resource center that will better inform those considering revision rhinoplasty in order to make well informed decisions; based on my own personal experiences as a nose revision patient, as well as my research. Rib carving is a tedious procedure, says Dr. Paul Nassif in this video. He soaks the rib graft in normal saline solution to soften it up and gives you the curve of where the cartilage is going to go. The inner cortex of rib has less chance of warping, so its left intact. For rim grafts you need to carve the cartilage which is very delicate process, since you have to make sure the graft doesn't end up splintering. Symmetric carving of the costal cartilage graft will minimize the chance of the graft warping over time. Here's an interesting study on comparison of warping after using different techniques of carving. Concentric grafts warped less than Eccentric grafts. Dr.Jack Gunter, has devised a technique in which the larger grafts, the dorsal onlay graft and the columellar strut, are reinforced with a centrally placed Kirschner (K)- wire to decrease warping and provide a more stable and predictable result. "Graft warping can occur in autogenous rib cartilage and lead to long-term postoperative distortions of nasal shape. The use of stabilizing K-wires placed through the center of these grafts has been a successful technique to counterbalance the tendency of the grafts to warp. To avoid warping of smaller grafts, we follow the principle of carving balanced cross-sections originally described by Gibson and later substantiated by Kim et al"
Well known nose revision surgeons in United States of America, & elsewhere. Plus information about choosing a surgeon and about nose grafts. I am not a surgeon or physician, and my blog nose revision surgery and surgeons.blogspot.com does not make me in any way personally responsible for it's complete accuracy of all it's content,even though i will certainly do my best to attain such a high level of achievement. I acknowledge no personal responsibility in any way for one's decision into having nose surgery. The decision to have nose surgery is strictly between you the potential patient and the surgeon of your choosing. 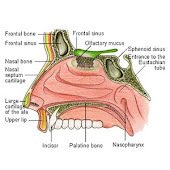 This site exists to better inform those seeking nose revision information, it in no way makes any personal recommendations or guarantee's to any individual. The information provided is not intended to be used for medical diagnosis or treatment or as a substitute for professional medical advice. Please consult your physician or qualified health provider regarding your condition and appropriate medical treatment. ©noserevisionsurgeryandsurgeons.blogspot.ca. Picture Window theme. Powered by Blogger.